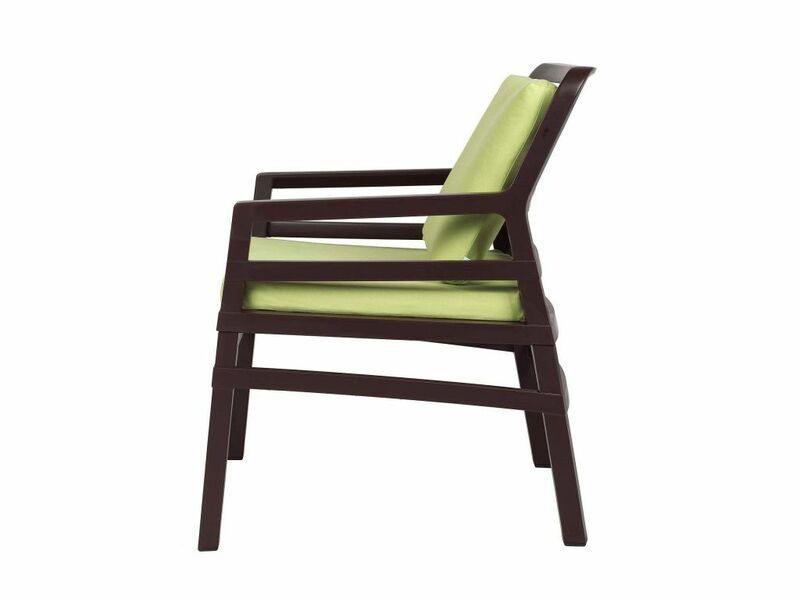 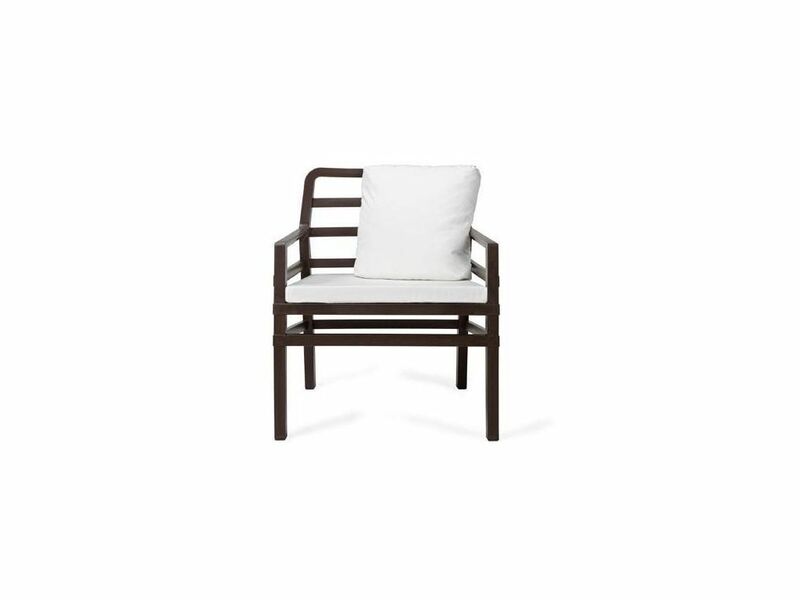 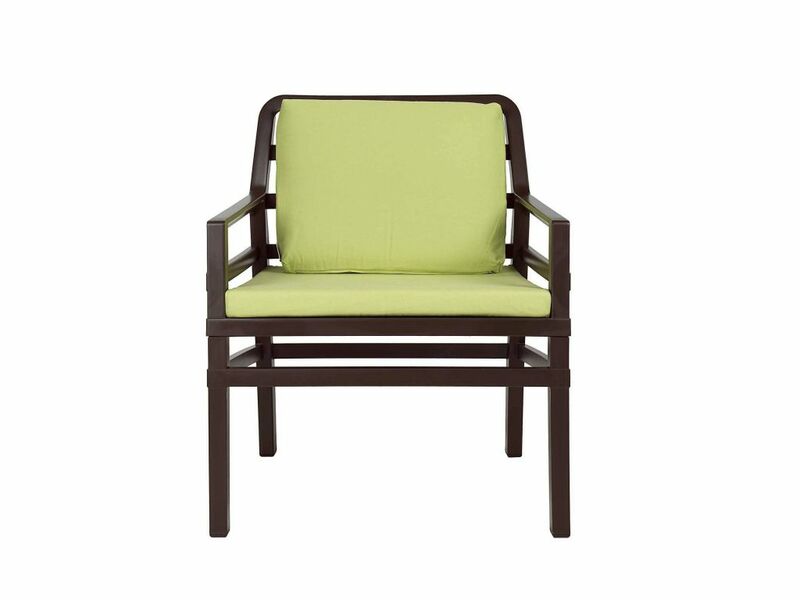 Indoor and outdoor Armchair, with cushions for the seat and furniture cushions included. 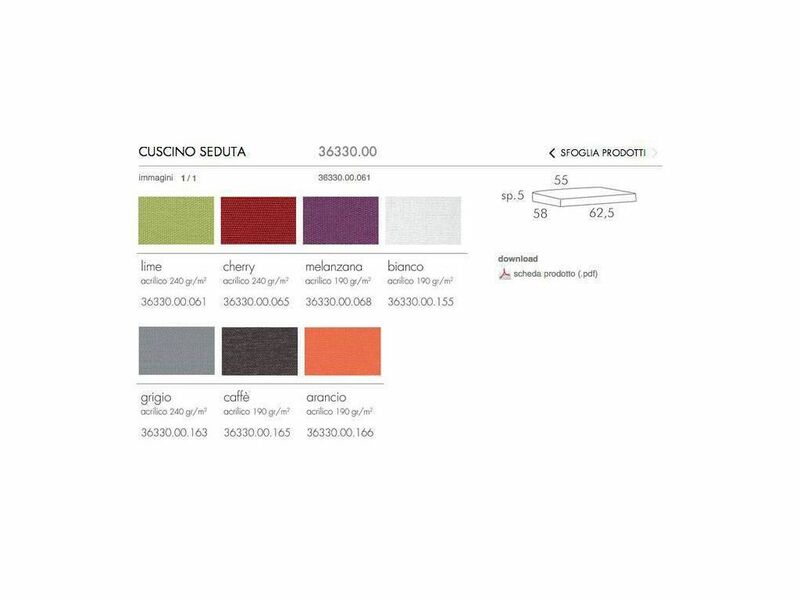 Colors of the seat: Coffee. 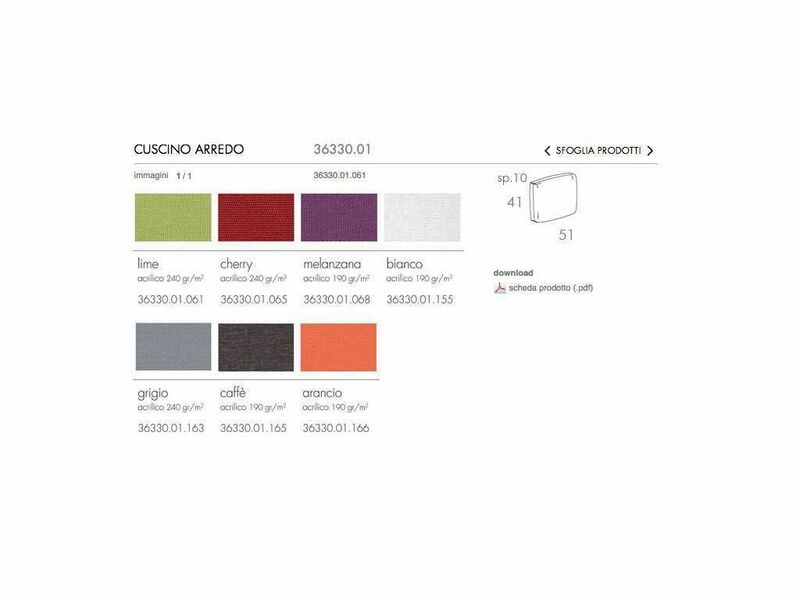 Colori of the cushions: White, Lime, Grey, Coffee, Orange, Cherry, Aubergine. 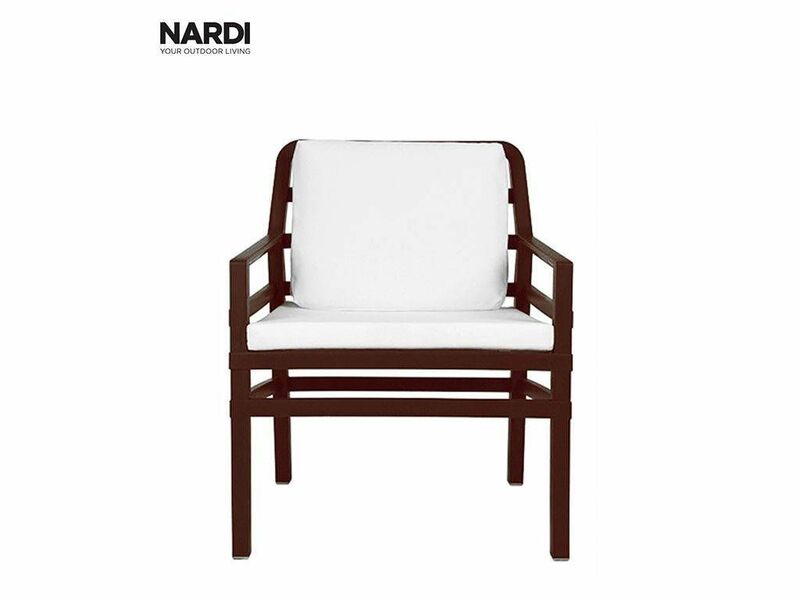 Cushions, external fabric Acrylic with stain-resistant and anti-mold treatment, interior in expanded polyurethane. 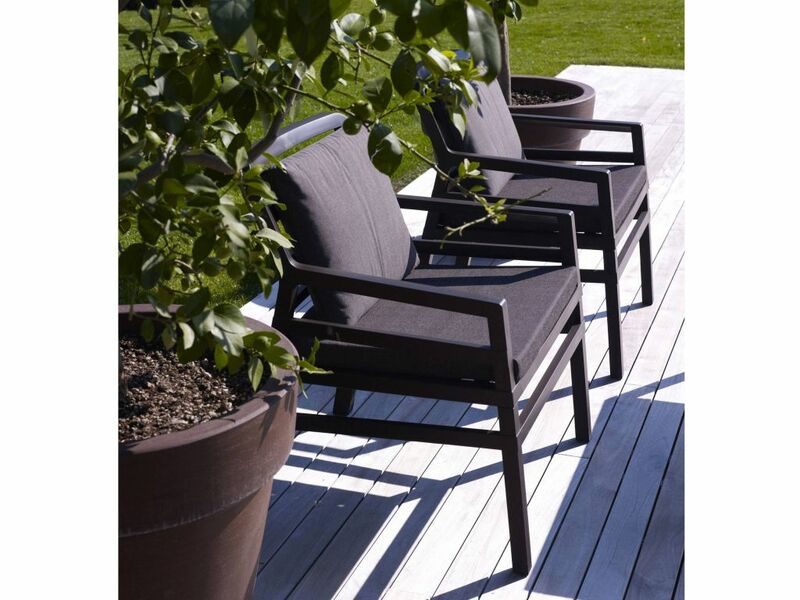 Outdoor and Indoor relax polypropylene armchair, demountable, with cushion and small non-slip foots. 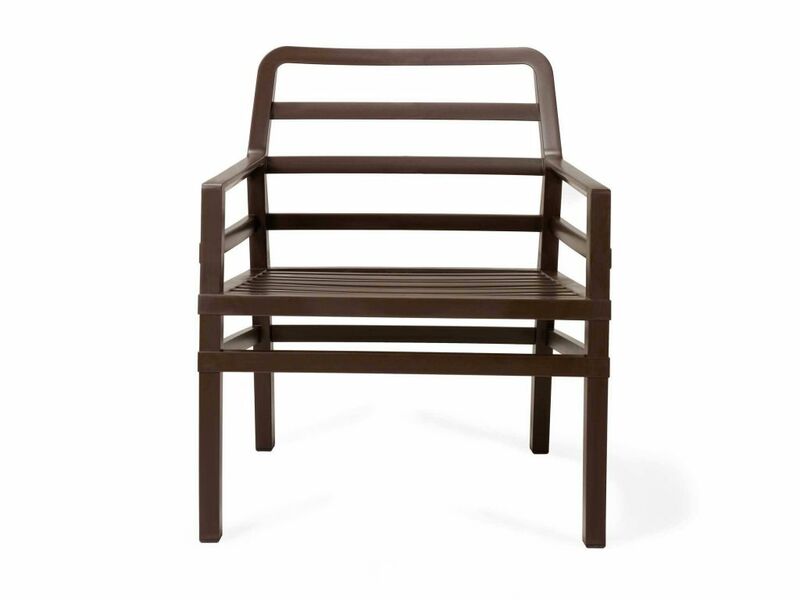 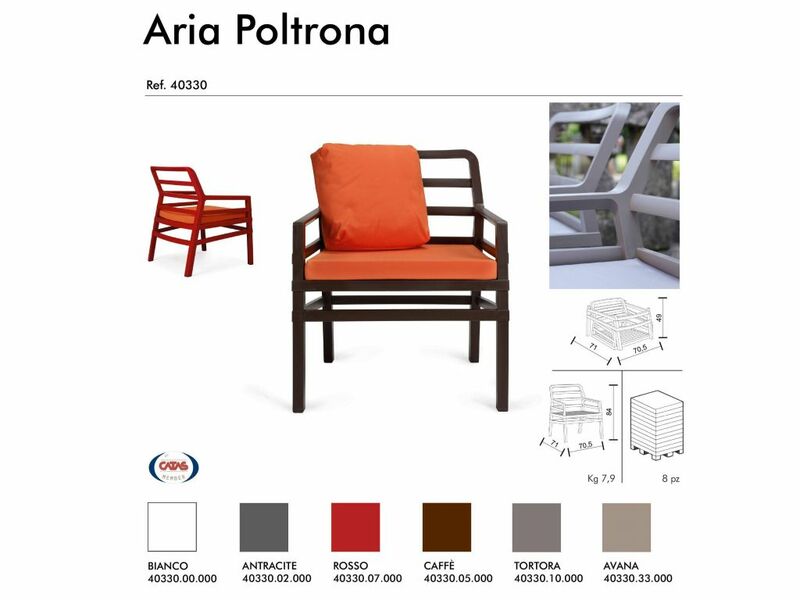 ARIA has a staved structure a little bit enveloping , his design takes up the theme of the romantic wood fences. 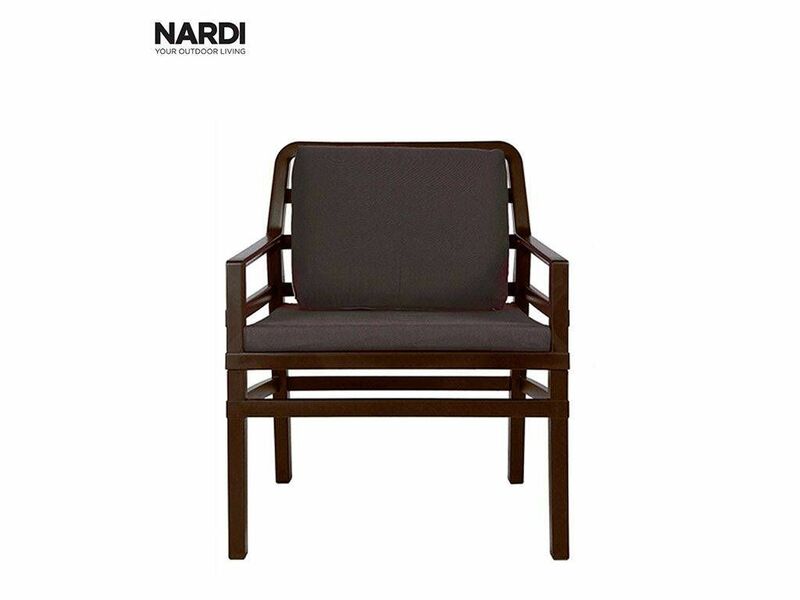 The geometric design of the staves, the variation of their grade and distance, the relief effects of the different junctions give to the seat a light and a slender line. 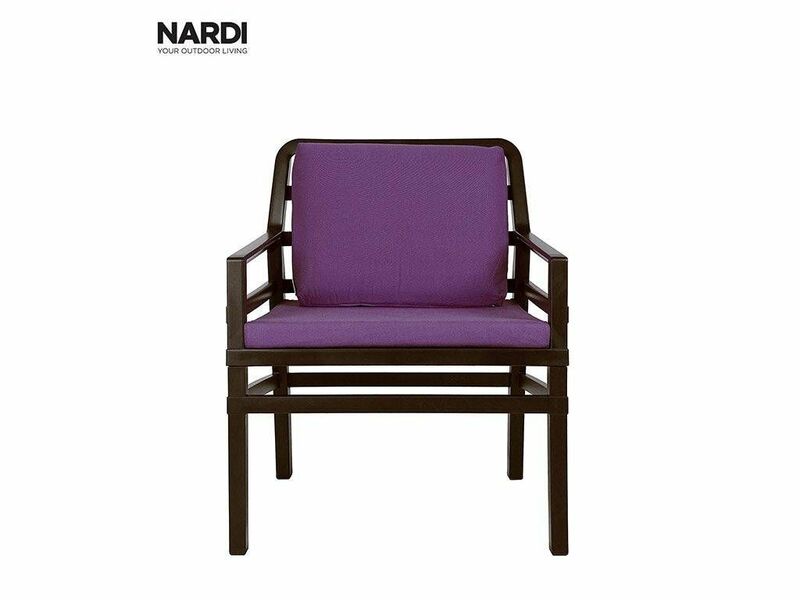 The Aria collection includes also a little table, with different measures, perfectly corresponding with the stylistic lines of the seat. 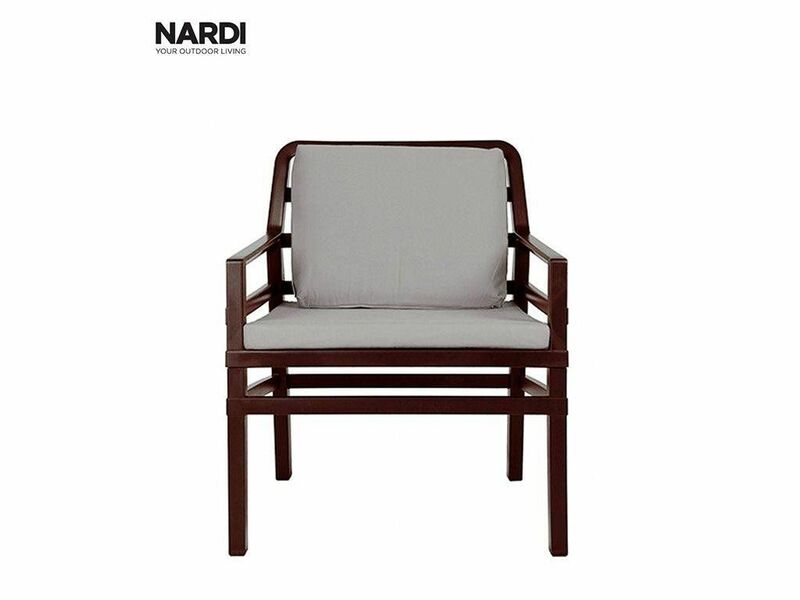 Particularly suitable and recommended for contract furnishing of restaurants, bars, agritourisms, boutiques, offices, accommodation facilities, beach clubs.